Many people deal with a cluttered home. In fact, it’s one of the most common problems in modern times, causing some folks to give up hope, refrain from being involved in social engagements, or become embarrassed. In addition, clutter in the home can be detrimental to organization, causing unneeded problems where there should be none whatsoever. Decluttering your home, fortunately, is much easier than you think with a little insight and some willpower. Declutter Fast is a professionally inspired email newsletter which offers quick and easy tips to help people just like you get things back in a proper working order in their homes. Filled with motivational tidbits and decluttering tricks, the program has been proven effective for thousands of people all over the world. It’s revolutionary approach to modern living gives readers a new lease on life, kickstarting their day in a wholesome and productive way. Although most folks become desensitized by their cluttered surroundings and never develop new habits, Declutter Fast helps you reconsider your day-to-day life. 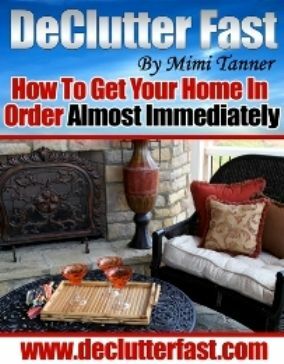 By getting quick, simple, easy-to-follow, and effective tips from a professional organizer, readers are uplifted about their situation instead of made to feel bad. This new approach to healthy living is changing lives while ridding the world of unwanted and unneeded junk that can sometimes be the cause of depression, anxiety, and sickness. Do you realize that is takes much less time to clean up clutter than it does to accumulate it? In the modern world, consumerism is real; but cleanliness is often viewed as a chore which few people have the time for. Declutter Fast helps to change your opinions and habits one email at a time, allowing readers to develop new ways of living that are conducive with organization and true, long-lasting happiness.